War Declared on Baggy Pants! During the holidays, a strange thing happened one day. We were all hanging out in the house in the middle of the day when a jeep Cherokee pulled into the drive and a young man got out. He was all decked out in hip hop garb with an unformed baseball cap all cocked sideways on his head and a hooded sweat jacket that was so large it barely covered his underpants spilling forth over top of his low slung jeans that hung suspended below the crest of his buttocks, seemingly by some magical force -- because it, surely, was not his hips. This young man came to our door and rang the doorbell. My rather large son answered the door, and the young man proceeded to weave some story about how he was on his way to a nearby town (not the town we live in) and realized he was nearly out of gas. This was apparently coupled with a simultaneous realization that he had no money. He asked us if we might have some money or spare change we might be willing to part with so he could drive to a gas station and put enough gas in his vehicle to make it to this nearby town, which was not ours. Red flags immediately started popping up all in my head. For those of you that know me personally, my thought processes need no further explanation. But for others, I must tell you that I am retired military. I was not always the loving teddy bear I am today and my past is riddled with suspect activities and bar fights over booze or women, or boozed up women ... well, you get the jist. My training and past activities in and around our military special operations community provided a kind of insight where I make quick evaluations of people by their mannerisms, speech and body language. Sometimes I get the red flags. Anyway, these paragraphs were just to set up the reasoning or explanation of my original thoughts. On the face of it, I felt sorry for the poor lad, and wanting to start looking through my house for spare change, really I did. But several things weren't right. First, his dress gave me caution. Yes, I know this might be considered profiling but, when your house, family, and livelihood are involved, I could not care less whether others might think ill of me for profiling. If a person makes the effort to dress like a stereotypical thug wannabe, I must assume, they are a thug wannabe. Second, the whole time he was explaining his situation, expounding on the woes he recently suffered, he'd left his car running. Third, the nearest gas station was no more than a mile up the road -- and it was open. Needless to say, I politely told him that we did not have any money we could give him at the time and offered him the suggestion of going to the gas station to ask for money because there, he would find others already pumping gas and, more than likely funded for such a purchase. That night, I activated nearly all of the security features of my home (did I mention the military? yeah, I got me some security) and loaded my shotgun, just in case. Was I wrong in assuming the worst in this person merely on their dress? Were my thoughts prejudicial? Probably so. For that I am sorry. But I would rather be sorry than robbed, or dead. Seems this profiling has gone national. 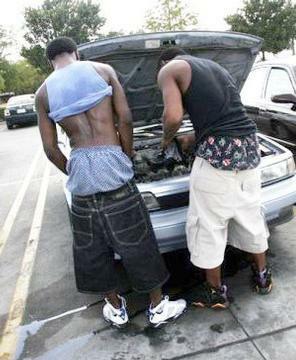 Cities throughout the nation have recently been attempting to approve ordinances forbidding the wearing of baggy pants. And, it seems, people on both sides of the issue are preparing for all-out war. 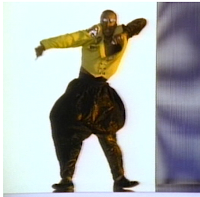 The wearing of baggy pants has been a fad for quite some time. Not only should the pants be baggy, but, in keeping with the fad, they must be magically suspended below the crest of one's buttocks showing some name brand boxers that can either be worn normally, or worn low like the pants, exposing one's crack. I don't know if it is some kind of one-up-manship or what, but the pants have gotten lower over time and crack exposure increased. While my personal preference is to wear pants the old-fashioned way, I am impressed at how one gets their pants to hang as if suspended magical by thin air with nothing to hold them up. I am also torn on whether the incorporating of city ordinances infringes upon one's constitutional right to wear clothes as they see fit. There is the argument that this style of clothing is a hip hop trend originating from those incarcerated in prison who have had their belts taken to keep them from hanging themselves. Others originate this fad from prison as well, but state that the reason for letting one's pants hang below their butts is more sexual, in purpose. Kind of like that fad of not long ago of wearing one's clothing backwards. With just a little research, one will find that most prisons issue clothing to inmates that incorporate ties or elastic to keep the pants suspended at a reasonable level around their waist. Unfortunately, many prisoners have chosen to wear even these garments in their own fashion. No matter your belief on the origins of this fad, it seems to me that parents would not want their children emulating trends originating from prison. I don't know, am I wrong to think this way. My objection to this style of clothing wear falls more on utilitarian function, rather than style. I just don't understand how one can go about their daily business when at least one hand is constantly occupied holding up oversize pants. I suppose this is nothing new. The youth of our nation have been finding ways to be different from all those old fogies as far back as history has been recorded. Drawing from my own youth, I'm sure we all remember bell bottoms and wide collars. Many of the heroes of those days perpetrated the look. 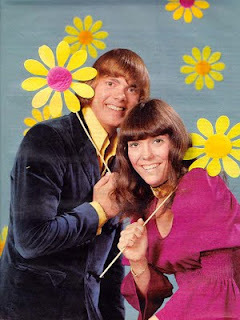 Remember the Carpenters? 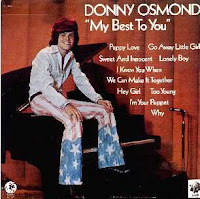 They were all about the bell bottom and wide collar fad, and they were adults. I know my sister remembers the Carpenters. I think she actually sang with them in the Seattle Center back in the early seventies. I believe it was on their song "sing." And here's someone you might recognize. He prescribed to the wide collar thing and he seems to have done alright for himself. And, I suppose it could be worse. We could all be stuck in some perpetual vortex of history where we all wear parachute pants and "Miami Vice" shirts. 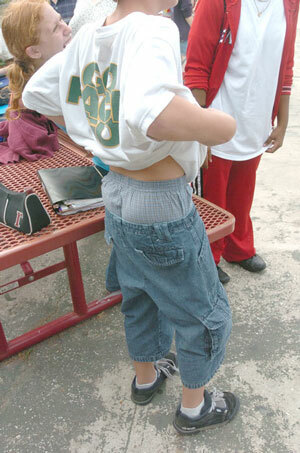 What are your thoughts on the "baggy pants" fad. Is it just a fad? is it reasonable? Or, is it just plain stupid. Wow! looks like this post was a miss. No one is commenting because people probably want to be politically correct; so they've chosen to keep silent. I probably wouldn't have opened the door if I knew someone was standing on my stoop dressed in baggy pants with his underwear exposed. I don't think of it as profiling -- to me it's self preservation. I'm NEVER politically correct. Unless I'm my day job and needing to keep my trap shut so I'm not up on civil rights violation charges . . I have to agree with you JL about the pants. I go further and disapprove of girls wearing three or four thin strapped or tube tops that all still expose more bra than even the shirt covers. Then they wear a g-string and low rise pants that expose more than just the crack. T**s and a$$. We all had our unique style of dress and I'm not opposed to fad fashion. Unless I have to see some gal or guys everything. I'm sure our parents said the same thing about the string bikini and those TMI spandex men wore for swim trunks . . But there is a place for nearly naked, and it doesn't belong in the welfare office or retail/grocery stores. I refused to buy my kids clothes that come pre-ripped, two sizes to large, or two sizes too small. I tell them if they want to look like gang-bangers, then don't expect me to have enough sympathy to bail you out of jail when you get arrested for just hanging out. I think if you are asking for money from strangers, the least thing you can do is make yourself look respectable and respectful. In Victorian times skirt length rose from feet to mid calf and knee - and quite old ladies adopted knee-length skirts, which is still the case today. When quite old gentlemen start wearing below-the-bum pants they will have made it into the respectability stakes so then it will be ok.
profiling is wrong people! open your minds! There are others that rob and kill you and they wear tuxedos. Thank you for your comment, Anonymous, but I think you've missed the point. This was not an article about profiling. 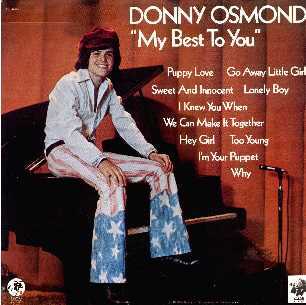 I neither stated a personal belief or single side the the issue of youth following the baggy pants fad. I merely presented the facts, providing my own insight in order to provoke comments or conversation. And, one more thing. If you think that profiling is bad, and no one should do it, I believe you are asking for accomplishment of an impossible task. Yes, profiling on a grand scale that brings about prejudicial treatment on individuals is a slippery slope, to say the least. But, I cannot even begin to recount the number of times that profiling of an individual, from their personal style of dress to micromannerisms, has saved my life. If you personally want to open your home to someone that gives the appearance of thuggery, or gives you a "bad feeling" then be my guest. There is no law against stupid. But I think you will find that if something walks like a duck and quacks like a duck, there's a pretty good chance, it's a duck. Lastly, I've noticed that you, Anonymous, have now made several comments on this blog, each one just a little more inflammatory. That you for that, because it helped me make the decision to change my posting options to not allow posting anonymously. So, from now on, if you have something to say, constructive or otherwise, please display the intestinal fortitude to just go ahead and take credit, and responsibility for your comments. you want opinions? good! PHUCK YOU!